I Recently picked up one of these great cases on Amazon for a very reasonable price. This case is also available on eBay. I would recommend checking both places as prices tend to fluctuate. It has a very solid build. All rivets are flush and the case and lid line up perfectly. I decided to do some research on cases that I could take with me. I own three of the Odyssey 200 LP Cases and they are great for storing records at home, but I needed something for on the go. This Odyssey case is perfect for that purpose. The built in handle makes it a cinch to transport up to “80” LP’s. I have found that it actually only holds around 60 LP’s if they are in 3 mil outer sleeves, or if you have some gatefolds included in the mix. What really makes me enjoy this case is that I am able to put it in the back seat of my car when I am out record hunting. Instead of fumbling with a pile of 20-30 vinyl records I can place them in this case and not have to worry about them sliding around while in transit. Now I know the cheapest route would be to use a canvas grocery bag and I have done this in the past. The main problem I had with this is that my album covers were not protected well enough. I would frequently end up with corner dings even when carrying them carefully. The weight of numerous records is also a bit more than some canvas bags can withstand. 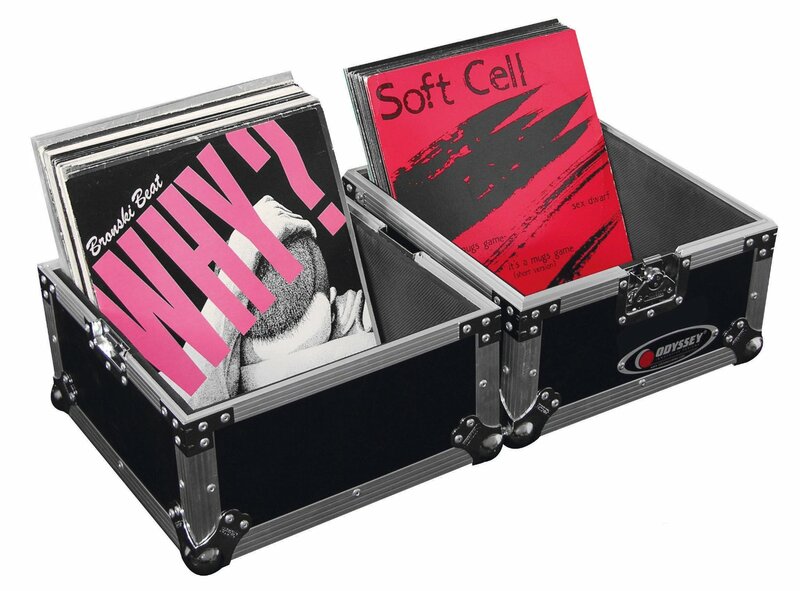 I have also used vintage record carriers, but have had a couple handles come loose due to the weight. Since these were quite old and not made of the best materials fixing them was not an option. The vintage carriers do work, but I prefer the Odyssey Flight Cases. 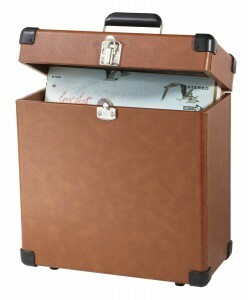 There are however some vintage style carriers that get great reviews. 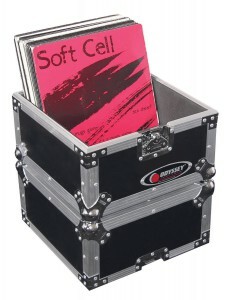 Click the image below to check out the Crosley CR401-TA Record Case on Amazon. This may be the route to take if you are not carrying a heavy load of LP’s on a regular basis. I also considered the Odyssey KLP2SIL. I decided to go with the FZLP80 becuase there was a little more space and it also looked like it was a higher quality case. The KLP2SIL gets good reviews as well but for my purposes the FLZP80 was a better fit. At the time the two cases were pretty close in price from a couple sellers. I now see a some listed at the amazing price of $49.99 with free shipping on eBay. Click here to be taken to where they can be found at the best price. No matter which case suits your needs best you can’t go wrong with any of these. Based on personal experience and the great reviews they all have I feel confident in recommending them all. If you have any questions for me about Odyssey Flight Cases or anything else please feel free to leave a comment below and I will get back to you. Have a Great Day and Happy Listening!! Magic Erasers…Best Way To Clean Your Stylus? 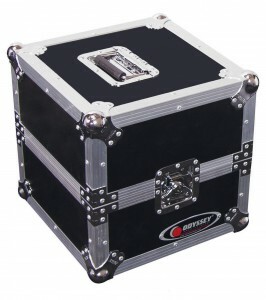 One of my friends used to DJ at club and he had one of these cases, he loved it as he used to push it within foot across the floor, he said because his arms was knackered I thought he just lazy. Hello Steve, Thanks for taking the time to comment. I have had a few friends who where DJ’s and recorded their own techno music. 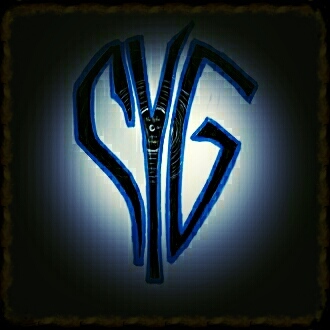 Never was my favorite genre but was interesting to witness. I would imagine that being a DJ could tire your arms out quite quickly. Also a large amount of LP’s say 30-40 can be quite heavy. I agree with you completely. If you are going to spend time seeking out your favorite albums taking care of them is of the utmost importance. If you play vinyl on a high quality turntable with a great stylus and store them correctly they will last for years and years. I live in the Asia country. In my place, people rarely use Records. Thus, I have never seen people using the case as well. It is amazing indeed I heard from you today, to know that the practice of using Record is still being practiced as most of us are either using MP3 of just CDS? is there any different in sound quality between MP3 and record? Or does it just look more elegant? Hello Adrian, thank you for the comment and question. Vinyl is definitely more elegant. But it is not only looks that make it far superior to mp3’s and cd’s. There is big difference between the sound quality of vinyl and that of a digital recording. There is more warmth and clarity when listening to vinyl. You can hear subtle details in insturments and vocals that are simply not present on other media. I have actually played digital versions of music through headphones and then the same album on vinyl through the same headphones and couldn’t believe my ears. Doing this is what got me into record collecting on a larger scale. I finally decided to actively seek out my favorite albums on vinyl. I lucked out and started years ago before prices were sky high for vintage vinyl. Now I tend to look for new pressings of old classics or new music on 180 gram or higher vinyl. If you really want to hear your favorite music come alive I would recommend vinyl. If you get a quality pressing that was from original master tapes I know you will be very impressed.